Synopsis: From chocolate brown to midnight blue, from cottony puffs of hair to hair like a rope's corkscrew, these photographs show the many ways to be black and proud. 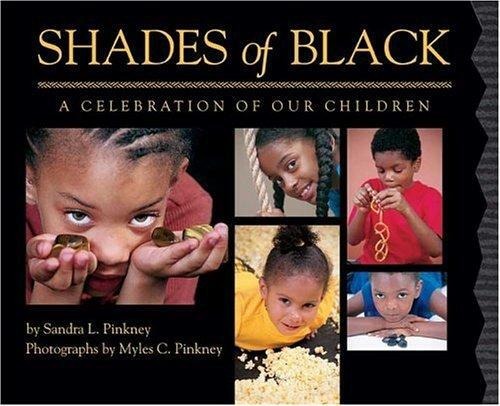 Using poetic language and stunning photographs, the Pinkneys create a remarkable affirmation of the beauty and diversity of African-American children. Why I like this book: I really could have used this book when I taught English in Sudan. I was raised loving my self and my heritage. Being ‘black’ was never an issue growing up for me. Being black was not about the color of our skin. It represented our culture and heritage. We were African-Americans. When I went to Sudan, I took that attitude with me, that no matter what ‘shade’ you were, you were black. * Shakes Head * Big mistake! I learned right away that many Sudanese did not like being called black, because it was considered a color, a color that had negative connotations. Which brings me back to just how wonderfully written this book is and how beautifully illustrated it is with rich and diverse photographs that show positive images of African American children of every shade and hue. The author uses the most beautiful and perfectly fitted similes that match the photos of each child. This book celebrates children. It celebrates African American children. I personally think every classroom should have a copy of this book. Shades of Black invites readers of all ages and cultures to explore and embrace the diversity of the African American. 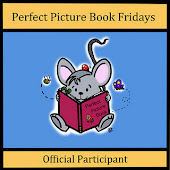 For more books with resources please visit author Susanna Leonard Hill’s blog and find the tab for Perfect Picture Books! What a wonderful choice, and I really appreciate your heartfelt review. The prose snippet you added is so lyrical and lovely. 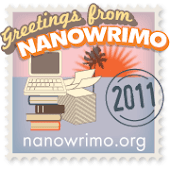 An important book, indeed - thanks so much for adding it to PPBF! Fabulous choice. That opening is juts beautiful. I have just added this to my list for our school librarian. Thanks for sharing your experiences in Sudan, Saba. I have been surprised by similar attitudes at times in other African nations. I am so glad this wasn't your childhood experience! What a great book -- and what an experience it must have been for you in Sudan. I love this book, Saba! I have actually had the pleasure of meeting the Pinkneys - lovely people both! - and I love all their books. The photography is wonderful, and the text is beautiful. 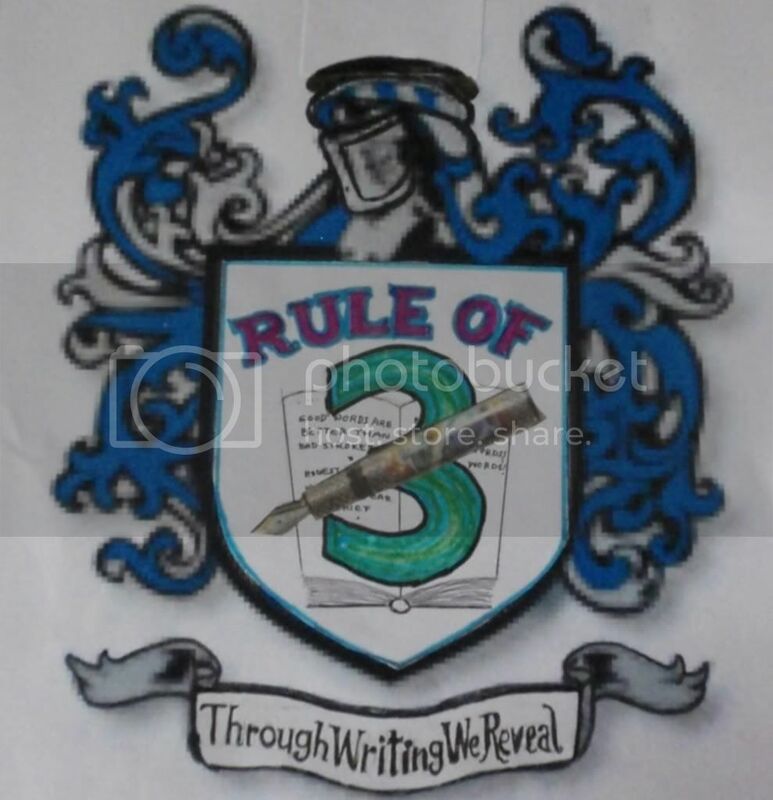 If I remember correctly, Sandra struggled with writing, so that makes it all the better, especially for kids. Thanks so much for adding this wonderful book to our list! Another great book and thanks for sharing about your personal experience. Did you work in Peace Corps? thanks Renee! It really is a lovely book and so important to include in classrooms and homes. Thanks Joanna! I also fell in love with the opening lines :D I love that it is repeated throughout the book as well. Thanks Stacy. No, I did not in the Peace Corps, I was actually there to study Arabic and when people found out that I was a teacher, they wanted me to privately teach them or their children. I also worked for in a school teaching English for a year. But you know, I have always wanted to work in the Peace Corp! Wow- a trip to the Sudan! What a gift and amazing experience that must have been. Thank you for sharing such a personal journey. Great choice for this week! Thank you for sharing your own life experiences with us. It makes your review of the book so much more meaningful and personal! This sounds like a beautiful book that will uplift all young children...but especially those who might have a poor view of themselves because of the color of their skin. We are all unique with our own special gifts and strengths...and we need to help young children grow up believing that! Catch Fire Blog Party!!! Join the Fun!!! Monday Muse: hate falling behind!! It's time again to Choose Your Own Adventure!!!! !